This will be continuum(pretty much, if your character dies, he/she stays dead in any further battle). When unstable being meets confused, and lovable jerk, you get one kupoed-up personality. It is true that Sinore stays true to his demonic heritage, and at times can seem cruel beyond imagination, but he may surprise you. Underneath the thick exterior of Sinore there lays a heart of some kind. He tries to hide that side of him with cruel attitude, and questionable actions, but when faced in the proper situation, the more gentle side of Sinore emerges. Sinore doesn’t really like to share when anybody. Yes, he is one of those loner-I’ll-do-it-myself kind of guys, but what else can you expect from a Demon? All his life he’s been ridiculed in a sense, and from that stemmed a certain emotional wall that kept him from getting too close to anybody for any unneeded reason. Sinore will obviously state that he does enjoy a good game of sparring. He actually has a good attitude when doing this, and it’s the only thing that he could think of that could actually keep him in a Zen state-of-mind. It’s weird, but Sinore also enjoys played chess, and drinking herbal tea. It’s definitely weird because who ever thought of a demon with a nasty attitude liking tea and such? Well, Sinore is the first one in history to like such things. There’s one thing that Sinore doesn’t like, and that’s when people push him to do things that would seem disrespectful in his eyes. It’s like if someone was forcing him into something that he didn’t want to do, he’d take that as a slap to the face or otherwise. In that respect, Sinore gets angry. When Sinore reaches a certain point to his anger, there is hardly any stopping him. The only thing that can keep him from harming others in a fatal way would be for him to regain his composure or something. However, with Sinore’s little disregard about himself or others, that would be a rare occurrence. He just has to remember to keep his cool. If you were to see Sinore in battle, you would see him do any trick in the book. He can fight clean, dirty, or a mix of both. He takes no shame in the way he fights because in the end, it gets the job done. That’s all that Sinore really cares about. Though, at times people seem to think that he’s a bit of a nut job with all the different tactics he uses, and how he utilizes them in battle. He could toy with an enemy for some time, and not even be consciously aware of what he’s doing. It could very well be his downfall, so that’s one thing he needs to keep in mind. Simore utilizes his affiliation of the Chaos nature with his fighting techniques. He can utilize different forms of portals for a whiplash kind of strategy, or a full on assault of different blasts, beams, and rays. It all just depends on how Sinore approaches a certain enemy, and what the environment is. Eyes: From what could be seen at rare moments, Sinore bares dim-grey eyes. Due to his hair falling over his eyes, no much can be noted about what shape they are or even the eyelashes and such. Hair: Sinore’s hair is measured out to be at least shoulder-length, but it could be longer due to the fact that no one has ever got close enough to him to determine the exact length. His hair is very long in front, back, and at all sides. At the very tips all around, are dips of crimson red, and the remainder of the hair is pitch black. Sinore chooses it to run freely rather than tie it up in some kind of ponytail or something. Skin: Sinore isn’t much of a day person. Like, he could be, but just chooses not to. Due to this fact, his skin is rather pale, and almost looks like he’s a walking zombie or something. Height:Five foot five. Nothing really special about that. Weight: Sinore weights 110lbs, which is translated into 50kg. He’s very skinny, but also bears a good deal of core strength. He has hardly any body fat, maybe just bits and pieces here and there. Attire:Sinore’s clothing isn’t really anything that stands out. He wears an all-black outfit right down to the nitty gritty. His pants are made out of a special leather that doesn’t make all that cringing noise when leather is rubbed against bare skin constantly. It’s soft to the touch, and comfortable to wear. To hold up the pants, he wears a sturdy belt. Sinore wears a black, sleeveless-shirt that has a mark of a red lightning bolt going from the top left all the way to the lower center. Finally, Sinore’s outfit is finished off with a black trench coat. A sword forged from the depths of hell itself. It comes in an all-black-with-red-trimmings appearance. The entire length of the sword(as a whole) is forty-five inches, and in feet, that would be almost four feet. The weight is light - very light. If a number was placed, the weight would be somewhere along the lines of 25lbs(11.34Kg). It’s due to this light weight that allows Sinore to incorporate Black Despair with his quite, and agile style of fighting. 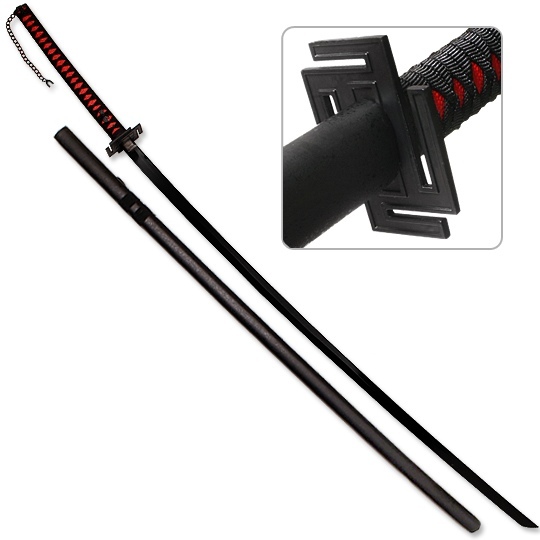 The blade of Black Despair is pitch black, as is the majority of the sword, but along the hilt there is a pattern of crimson diamonds that are embedded into the hilt. Lastly, though not least important, is a chain that hangs at the very bottom of the sword. The sheath that it comes with is also black. Black Despair rests on Sinore’s back as it is pretty much latched into his demonic aura which in essence makes itself glued to him until battle time. A very close relative to the Chaos nature, this is an ability that stems from darkness and a very tainted form of electricity. Sinore is the only one who can use it as it is his own unique birthright. His ancestors were the creators of this power. The name itself stems from the blood that was spilled over such a power, as it is nothing to be taken lightly. Blood Lightning can be manipulated into two different elements - darkness and electricity. It can even be as far as being the only compound element in the Demon race. It’s apparent that there are at least some limits placed on this power as it does require the user’s blood(in this case, Sinore’s). It’s true that this might be the only limit, but when one runs low on blood supply, the odds are that the user is most likely going to be in a sense. 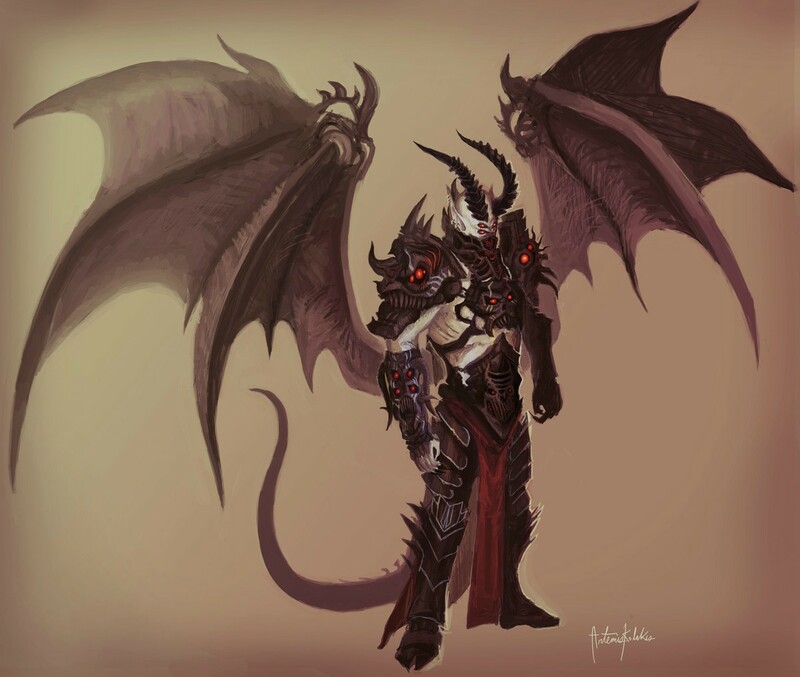 Demon Form: When Sinore ascends into his demon form, the transformation is evident in both size and power. First, the skies darken, and lightning strikes on the ground in a controlled frenzy. When the lightning hits the ground, it does so that it creates the demonic sigil of the Dark Prince himself. From the corners of the demonic sigil shoots rays of dark light(a black beam of light) into the sky to bring forth a demonic gate of hell itself. It is from that, the essense of Lucifer himself grants Sinore the final form power, and thus begins the transformation. First comes a foggy smoke covering Sinore which forms his pale tan colored skin. His horns rise upward, and dent backwards. Sinore goes down to a six foot height. The black light then strikes down on Sinore which comes at him in the form of his Blood Lightning which then forms a layer of dark brown armor that literally speaks of the devil as it bears engravings of Lucifer’s face around the shoulders, arms, and chest. A slight engraving on the mid-section, but it’s pretty vague. Sinore grows two extra eyes on his face that are all colored Crimson Red. On his shoulder plates, chest(and mid-section) plates, and arm graves there are stone-like eyes on them. It almost resembles rubies. A part of the armor covers Sinore’s face right up to the middle of his nose. Sinore’s wings are shaped more like demon wings rather than angelic wings . He has a tail in his demon form which is rather medium length. It’s long, don’t get me wrong, but just not incredibly long. 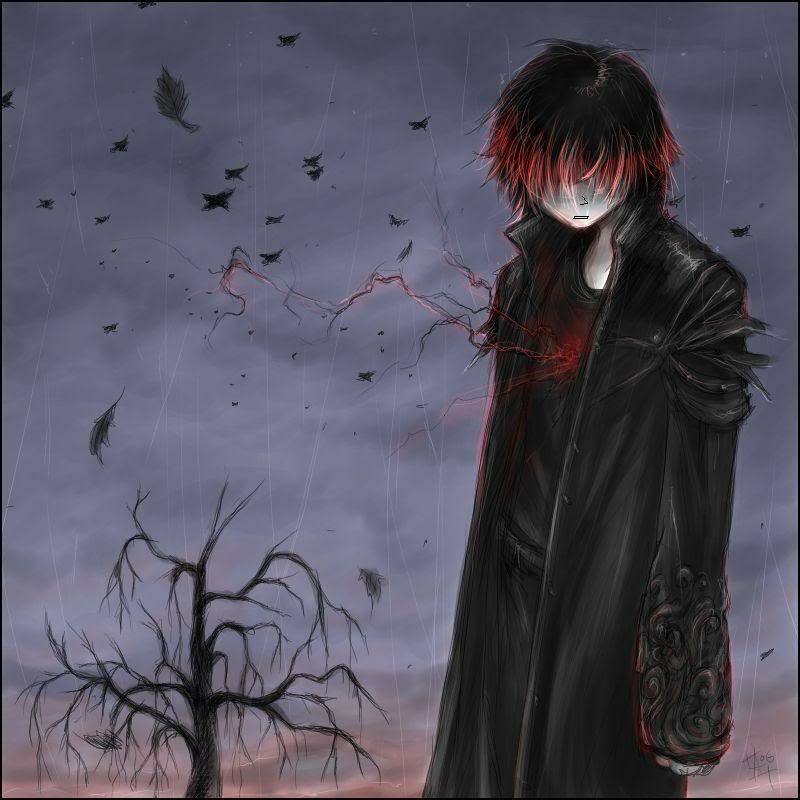 A dark red, almost misty-like aura surrounds Sinore at all times.Black Despair is connected to Sinore’s left arm as he can grow it out of either hand; left or right. A very common skill among the demon race. It’s pretty much how they can expand into their true demon forms as each demon who is born on Umbra takes a more human form to blend into the crowd in a sense. Being of the demon race, Sinore automatically has the ability to fly. Being able to throw in his fitness into battle, Sinore combines levels of acrobatics, adequate accuracy, and hand-eye coordination for the fighting he does hand-to-hand. He might not be a pure master at it, but there is no way in hell he is a beginner at it, that’s for sure. As a barer of the demon race, Sinore has the skill to bare a demonic aura. Each respective demon has their own unique aura, and it just so happens that Sinore’s is nothing special(yet). However, there is one thing that is quite noticeable about it. His demonic aura shines a deep, dark red color. It appears to be in a fog-like appeal. Another battle-related skill that Sinore can do. Even though his only sword is his Kubai Sezubo, he is quite proficient at using it. Though, Sinore can use any sword or bladed weapon. He’s trained quite consistently to be good at handling more than one type of sword just in case if he were to get more than one, However, the one sword he has is more than enough, so why have more? In the partnership that Sinore’s Blood and his main ability Blood Lightning have with each other, Sinore’s blood has a unique attribute to it. While normal Demons have the normality of the demon race’s blood, but due to the fact that Sinore’s whole power revolves around his own blood, his is unique in its own way. Like, it hold a special property that is indeed specific and quite valuable(in a sense) to electricity. It’s like the conductor for lightning itself, and as such, his blood is unique. Yeh, pretty self-explanatory too. Sinore is fit, and pretty damn fit too. He’s not a bulky person, but no way is he the type to be fat. He can handle enduring adventures and can take a beating too. His stamina is above average, and strength is at that level too. The only thing that this doesn’t cover is his personality traits, but oh well. It’s not like Sinore can’t help that. This is just a casual skill that allows Sinore to do flippy tricks, and other acrobatic-like things. Oh, and it helps his build. So, yeah there’s that too. Well first you must understand my position, and how my blood key open up my life’s lock. Instead I was blessed with many of virtues, many alike that of my angelic mother. Where the humans and aliens all lived peacefully without any faults or shame. It wasn’t until my brothers of sins Wrath and Greed came about to ruin prosperity . It was only little me against my two brothers. The thought occurred to me —I should be surrendering. With nowhere to hide, no where to run, I knew that this peace would soon fall. Then came a sudden power, something that only I could feel. It ran through my bloodstream. Electricity only I knew that was real. The eyes of my brothers were filled with disbelief as they could not believe their eyes. Somewhere deep down in the core of their souls, they knew they were about to die. I call it Blood Lightning for it is a power that will ultimately force them to leave. Though they are gone from my sight, I know my brothers will not give up. I do know they will alert my father as he will probably shrivel up. Because he doesn’t need daddy’s protection now that he has gotten much stronger. Only fifteen at the time, it seems so long ago. For now I am eighteen, and I have more to show. I am enjoying this time of peace as it’s finally mine. In the three years I have been out of their sight, a lot has happened. He is good to me, but punishes me harshly for sometimes being a heavy sleeper. For I am the Crimson Shock, and Mr. Rize knows what gets under my skin. He has my entire dedication, and tonight when I appear, the end will begin..
Other: Surprisingly enough, Sinore enjoys tea. It acts as a stabilizer agent for his weird self. There was once a time when her eyesshown bright, when she was sure and right and heavenly andoptimistic. She believed the best of everyone, and never held agrudge, never insulted anyone, always did what she thought was right. What more could you expect of an angel? It wasn't long that she held suchsimple, enlightening views, though. See, naivety breed innocence,innocence Is simply ignorant, and one cannot stay so pure forever. No, just a little bit of knowledge, ofpower, of hate, and that pure white mentality is forever gray atbest. She, herself, was an Power. A warriorangel, tasked with controlling the border between heaven and earthand fighting against evil. An angel of birth of death. She was notunaware of evil's existence, and she was not so blind as to considerit worth her blessings. She never considered it much of anything atall, it fact. She was good, and that was evil. It was her job todifferentiate, to stop evil in its tracks. Now, she is not even that optimistic,however. She is hateful and mistrustful and spiraling farther andfarther from grace. When an angel falls from grace, it leaves themlittle. She is aware of her fate-- to either perish or become thatwhich she's hated most, that which she still hates: a demon. She is still self-righteous and proud,but without a shred of pity left in her cold heart. She is strong andwill never believe she was wrong, and continues to fight for what shebelieves is right, however twisted and narrow her view may be. She is determined and courageous,willing to do anything to bring down an enemy. Her hatred of demonsand refusal to see the world as anything more complex than black andwhite morality make her stuck in her ways and unfriendly, and shewill not think twice before attacking a demon. However, a friend will see herpatience, desire to protect those she loves, her generosity, herlove, her strong sense of duty... if only she had a friend left. Falling from grace does not taint one'souter beauty-- not typically, not immediately. 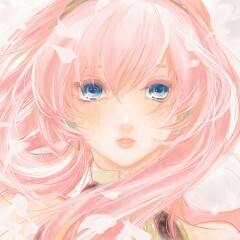 She is still pale withflushed pink cheeks and bright blue eyes. Her eyes are one thing thathave never changed about her, and even if her corruption turns herinto something that doesn't resemble a humanoid in the slightest,they are something that never will change. Innocent curious, bright,mysterious, baby blue eyes. Her long hair has gotten somewhatdarker since the fall. Once it was so light it seemed white, radianteven. After her descent, it's now more clearly pink, and a tad moreunruly than before. It still frames her heart-shaped face nicely,though. She never had a very curvy figure, notthat an angel would care about such a thing. B-cup breasts and ahealthy but not starved or overweight figure. Overall, for a Fallen, she's still as ayet almost indistinguishable from an angel. Her white wings arewithering away more and more each day, though. Gabrielle still uses the weapon sheused as a Power. She feels justified in doing so. That weapon was astaff, called Divine Judgment, usually in the appearance of awhite-and-pink staff capped by a red jewel suspended within a partialgold ring with two exhaust valves. When performing different levelfunctions, its appearance is slightly altered. The prior mentionedappearance is used for most common level attacks and spells, but forstronger, more shooting oriented attacks, the gold section its headdematerializes, then reforms into a more square shape with twoprongs. For her highest level attacks, usuallyexplosive, the head of previously mentioned form extends away fromthe main body, and two energy wings spread from the gap. This staff can focus spells and canalso act as a blaster, but can serve as a melee weapon when necessaryas well. When not in use in battle, the staff isin the form of a piece of jewelry. In Gabrielle's case, the jewelryis a necklace with the red jewel as the ornament. Although not as strong as when she wasfully aligned with Heaven, Gabrielle still possesses her angelpowers, sans the healing ones, which are always the first to go. Faith- Gabrielle jumps a few feet offthe ground, then summons hovering orbs of light which orbit her andshield her from enemies, as well as a pillar of light to rain down onthe enemies. Sometimes she creates a storm of light around thepillar, with greater range but less accuracy. By focusing, thepillars can be "charged", becoming one huge pillarsurrounded by three thinner ones, and the orbs will be fired off inevery direction as a projectile attack. For any other angel, thiswould also restore health, but Gabrielle can no longer achieve thateffect. Pearl- Orbs of light are createdaround Gabrielle, which shoot off in every direction. They are notvery accurate. Judgement- Only usable when her staffis in is strongest mode, an explosive mass of light magic with along-lasting shockwave. Dia- A blast of light that does asmall amount of damage to the enemy, but creates a lasting a drainingeffect for a period of time, draining their stamina. This staminawould be transferred to a normal angel, but for Gabrielle, it issimply lost. Beyond these are the basic elementshots equipped in her weapon, although they are significantly weaker. Being trained to fight all her life,Gabrielle knows a thing or two about how to hold her own. She can wait as long as it takes if shehas to draw out a battle. The fastest angel on her squad backwhen she was aligned with Heaven. For all her pugnaciousness, she rarelygoes into battle without some sort of strategy, which she has notrouble adjusting as the battle goes on. Many humans think of angels ashumanoids with wings, righteous, watching over them, perfectpacifists. If they believe at all. It's more complicated than some of themwould like to think though. There are 9 ranks, 10 if you wish tocount the Fallen. Gabrielle was just one of those ranks,a Power, determined to do her duty. It was when she got a betterglimpse of humanity recently that she started questioning whether shewas fighting all sources of evil .True, most of those humans weredoomed to Inferno anyway, but she wouldn't stand here and wait asmore and more she saw the injustices humans pulled. Her trying to take matters into her ownhands was how she fell from grace, banished forever from the Kingdomof Heaven without even a chance to say goodbye to the ones she loved. Come on Megs, you can take this fool out! I have faith in you! ((OCC: Lanydx Reborn, I ask you not to post in this thread again. If you do, I will go to the mods. “What a chilling breeze..” Sinore’s eyes opened as he looked out upon what was the a lovely view. Yes, a view of a lovely little lake that was being overseen by a very large, but still very elegant layers of trees of little cliffs that rose as high as the cathedral. The Cathedral itself had a tan, almost beige color coat on it. The fascinating church-like building had several floors, and ten-times the amount of windows. On the tallest point of the building is where stands Sinore as he just looks on. He takes in a slightly deep breath. All of his muscles relax as, in one instant, he disappears and appears on the bridge. The sound of a teleporting man could be heard at least a mile away due to the fact that the velocity at which Sinore traveled was so fast, his leather jacket made a sound that scared off all the birds. In that one moment, Sinore knew that his teleportation skills still needed more practice. It is due to the fact that he did make a slight sound that he knows that he has not mastered the art of dimensional travel, and as such he would warn his oncoming opponents of his whereabouts. As he looks upward at his newly positioned area, Sinore smiles slightly. He enjoys the breeze he’s feeling from where he is, and that the weather is shaping up to be nice. This cathedral he finds himself at was newly purchased in his name as a milestone of how far he has came. It is because of the wars between God’s Angels and Satan’s Demons has put such a strain on his path of purity, and he needs to find that inner-peace. Just as Sinore was about to fully relax, he heard a shift in the wind. No, more like a push. It was like there was an unbalance within the air. Sinore’s connection to this place has enabled him to get a grasp of when the wind is worried about the spiritual fragrances in it. Sinore knows he is not alone, and he knows for a fact it’s an Angel. “It’s best if you show yourself. I would hate for you to be hiding upon me finding where you are..” Sinore said. He summoned Black Despair immediately. Gabrielle still wasn't used to this world. The Kingdom of Heaven, her home... where was she to go now that she could no longer return. The breeze picked up and with it, several of the feathers of wings were swept away, disintegrating soon after they detached from her. Yes, her wings were wasting away, and as was she... She was to perish soon, she knew it. At least, she hoped it. The alternative was that she would become a demon, as many fallen angels did. But she refused to believe that would happen to her. She fought demons, she killed demons, she was righteous and holy and God-fearing. If she was to die, she would die fighting those wretched creatures. She would make sure of that. Her aimless travels happened to lead her to just what she was searching for. She wasted no time in reaching for her necklace, turning it into her staff. She hadn't expected to run into a demon here, though. She had wondered here searching peace. A Cathedral-- one of the places where Humans worshiped her God. For this demon to desecrate what was meant to be tribute to her God was unforgivable. It had barely been a minute when the demon beckoned her out of her hiding place. More than enough time to configure a plan, thankfully. Talking with this beast would be worthless, so she let her actions speak for her. Taking aim, she mouthed “Dia” and let loose a relatively narrow blast of light right at the impure being. It would give her an idea of what she was dealing with, at the very least. A minor demon could usually be felled by a few of those alone when she was aligned with Heaven, and she estimated that it wasn't so much weaker now that the effect would be lost. Sinore just sighed at the notion of the weak powers that this Fallen Angel displayed. Her attack that simply was a little blast of Holy Magic, which Sinore knew what exactly it was. This little glimmer of light that emitted from her staff was the spell known as Dia, which was the spell that was aimed to drain stamina, and thusly transfer it to the caster as a rejuvenator or something. The little light trick came at Sinore at decent speeds. The amount of its speed really told Sinore a lot about how little the caster estimated Sinore’s strength. The fool would soon regret their actions. The impact on the blast was met with nothing but an afterimage since the real Sinore appeared behind the caster, who was at least a mile up, which was easily reachable for Sinore given his strength. He didn’t even smirk. He was behind the girl, and he was shocked it was a girl. First thing, she didn’t even look all that tough. A withering Angel she has became, that much is evident. Secondly, Sinore noticed a rather pale skin tone on her. He just smiled that her appearance really gave a lot away, like she isn’t all that strong if Dia is the only thing she can dish out that would give a first impression for Sinore. “You really need to put more umph into your attacks.” Sinore creeping behind her, and then instantly driving his knee into her back, causing a grunting sound to forcibly come from her mouth. The knee was dug so deep into her back, that Sinore heard slight cracks, but that obviously wouldn’t be the end of it since he would then twist his body to flail her body once more by spinning his body in the motion where his left leg would come in clockwise and strike the right side of her neck, driving her down to the ground. At the angle she was going, she would hit the water. Using his unique power, Blood Lightning, Sinore cut open a small gash on his neck, and he smothered his enter left hand(the hand holding Black Despair) in blood, which was concentrated into his Black Despair. By diving downward, Sinore waved Black Despair about five times, all at random positions, black and red sickles of lightning made their way at the fallen one. At the same time, Sinore appeared in her path, and created a single lightning bolt from the left over blood from the small gash that has now healed due to his fast regenerative powers. Sinore threw that single lightning bolt upwards. Not a bad attack to start a strategy off with usually. Even if Gabrielle's opponent didn't die, they would still be weakening as the battle went on. She overestimated her own stealth, though-- clearly the element of surprise was already gone, and her attack was too weak now for it to matter that she got the first shot. She expected it to at least it, though, or it would have been meaningless. And as she stared at nothing but the dust kicked up in his place and felt a shiver down her spine as she sense him behind her, she could tell that this wasn't one of the typical demons she had faced. She barely had time to turn and get a better view of the boy before he dug his knee into her back, and she heard a crack. That was nothing she hadn't faced before, but now that she was a Fallen, it seemed to have done more damage than she had expected. She grunted and lifted her staff to at least weaken the blow of his next blow aimed at her neck, but the force still sent her falling towards the water. She clenched her teeth and aimed her staff towards him, determined not to let him have another such lucky shot at her again. Effortlessly, she upgraded her staff to the mode more suitable for projectiles and sent a blast of lightning right back at the demon's to stop it as they met head-on. Not taking a moment to rest, or even turn around, since she guessed the demon had gone into her path when he teleported and simply hoped she was right, Gabrielle focused, slowing down to almost a hover, and mouthed “holy”, creating orbs of light to surround her and at least shield her from whatever the demon's immediate plan was. She winced as the pillar of light came down on her, even though she knew she hadn't gone so far yet that it would hurt her. Light wouldn't hurt an Angel... and was still what she was. The lights began to flicker as her thoughts wondered to that, so she tried to focus them once more before the light faded completely and she continued her fall, slower and much more controlled this time, rolling in the air to turn towards the demon in an attempt to impale him. She charged another Dia spell on her staff and let it loose, since that would be a more strategically effective attack that a head on assault. Nothing spoke boring and bland like using the same move again, no matter how close the distance was between Sinore and The Fallen Angel. No matter how her light magic could protect her from two incoming attacks at the same time, if it meant that this girl was going do the same thing over and over again, then it meant that Sinore would obviously see behind it, and not even allow her to raise a single finger, let alone wave that silly little staff she holds so dear. Sinore saw. Her staff glowed with a white-ish blue energy that spat out Dia once more. Even with the distance up close, it wouldn’t affect Sinore by much, if at all. He knew how he was going to counter this, and by knowing that he assured his mind that he will walk away with no stamina taken. The singular line of light that motioned in swirly movements came at Sinore, and it hit him dead on. Despite its direct hit, it did nothing. Sinore completely walked away unaffected. “That’s it?” Sinore laughed at the notion that the fallen angel had of actually trying to harm Sinore with a spell that weak. Her attempts are futile. Nothing that weak will harm Sinore, and he’ll prove why. Motioning Black Despair by gripping it in a reverse manner, with the bottom of the hilt facing outward, and the blade facing in the back direction of Sinore, he charged the blade up with his demonic energy. It became so infused with it that the sword from the bottom part of the blade and up was oozing red and black, demonic energy that was also stemming some lightning sparks of the same color. In a quick flash. Like literally, in three eye blinks, Sinore was in front of the fallen angel, then he was behind her, and finally in front of her. All these quick motions happened within a span of five seconds. The demonic energy from Black Despair was sapped. “It’s done.” Sinore said as the demonic energy appeared in the form of several cuts around the fallen angel’s body, and the lightning was hovering over her, and flying into those cuts. Seeing as how the lightning stems from the power called Blood lightning, blood itself acts as a conductor for the lightning. Since blood is open when someone is cut, it reacts. In this case, the little cuts all around the body of the fallen angel are acting as little conductors for the lightning, which has made its way into her body, but only in little amounts. However, due to the fact that there are a total of ten cuts on her body, it enables the lightning to enter in in little amounts, but the outcome would result in little shocks within her nervous system. Only her willpower will determine the outcome.